$15 Off or FREE Shipping at thredUP! Like New Kids Clothes from $3.99! 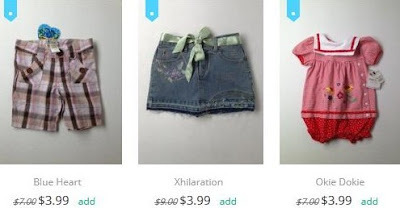 thredUP, an online consignment store for like new kid's clothes, has two great promos going on right now! You'll find name-brand clothes from 12 months up to big kids 16+. Clothes start at just $3.99 and it's not hard to find new-with-tag items. I bought my daughter a brand new Old Navy winter jacket a few weeks ago for $8.99!! Click here to start browsing the site and see what you can score with your $15 off or free shipping!